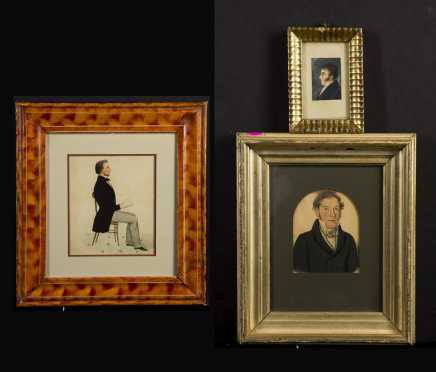 Three American Primitive Watercolor Portraits, A) Watercolor on paper profile of a man seated in a chair reading a book, round stamped lower left "Barret", 6 7/8" x 9", matted and in grain painted framed under glass. 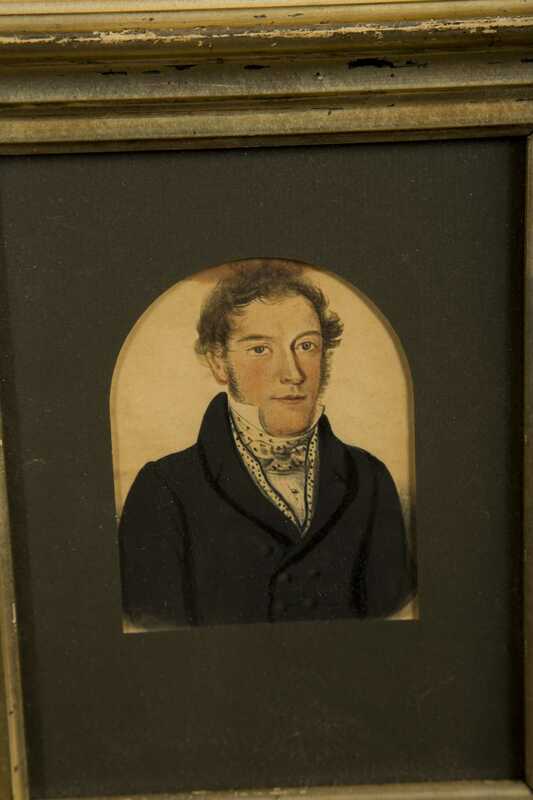 B) Watercolor on paper of a man in a polka dot cravat, 4" x 3 1/4", matted and framed under glass. 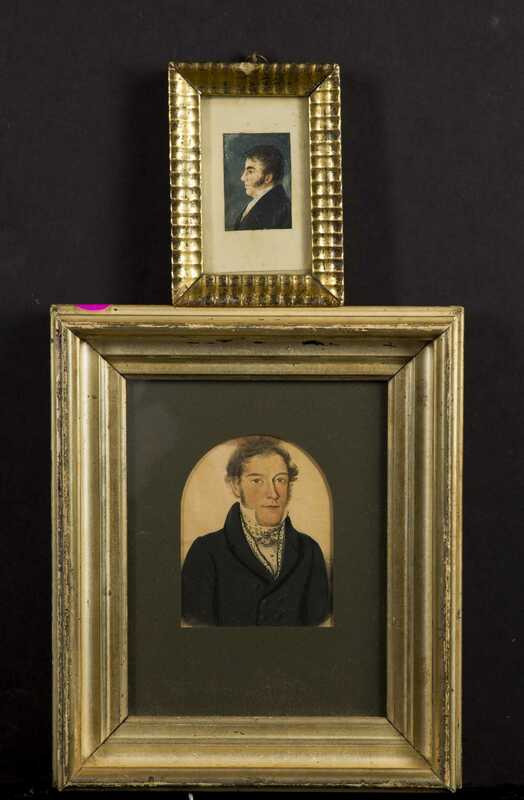 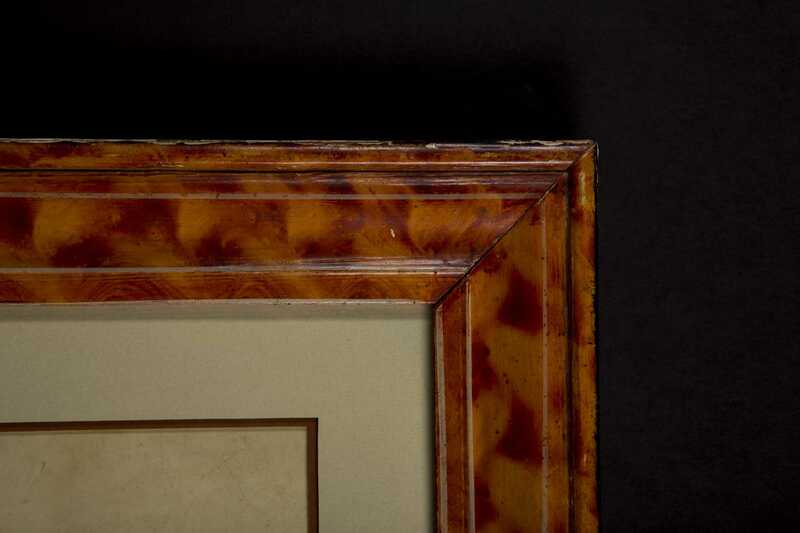 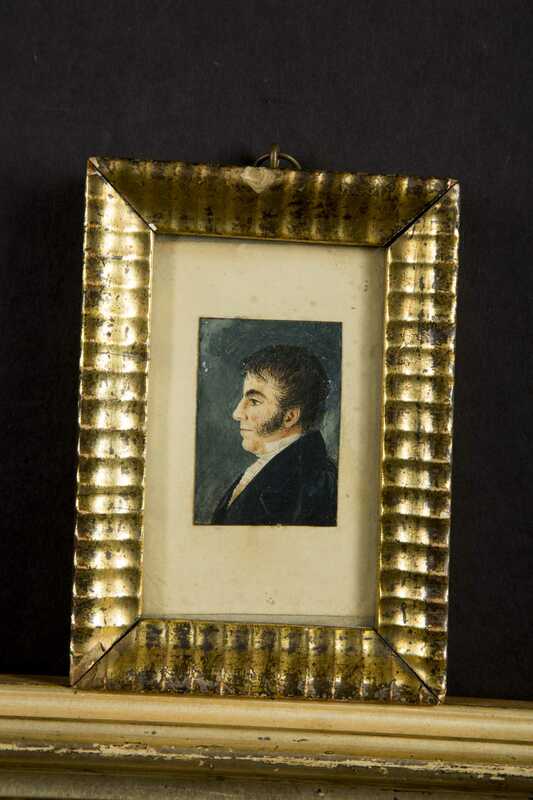 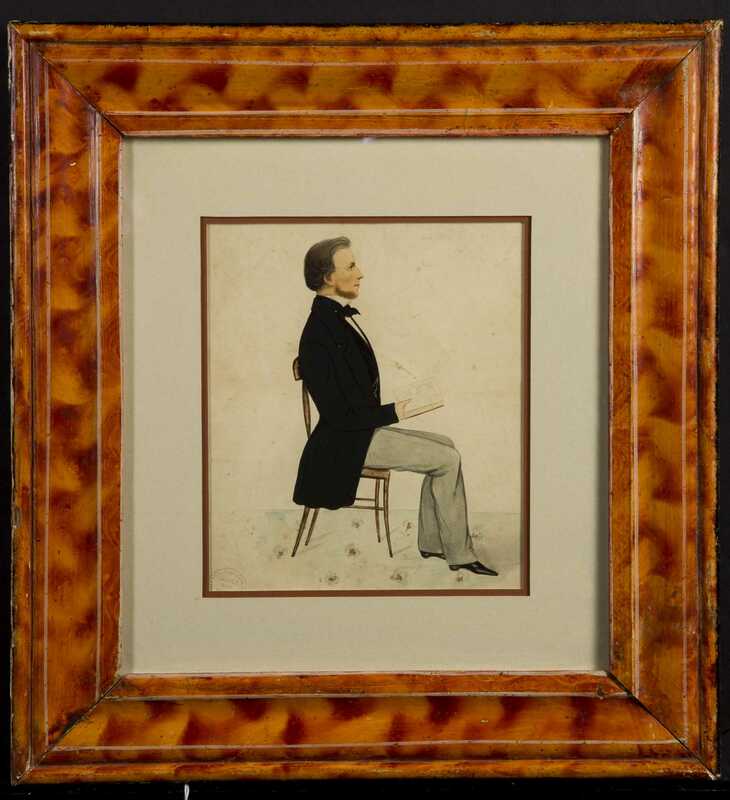 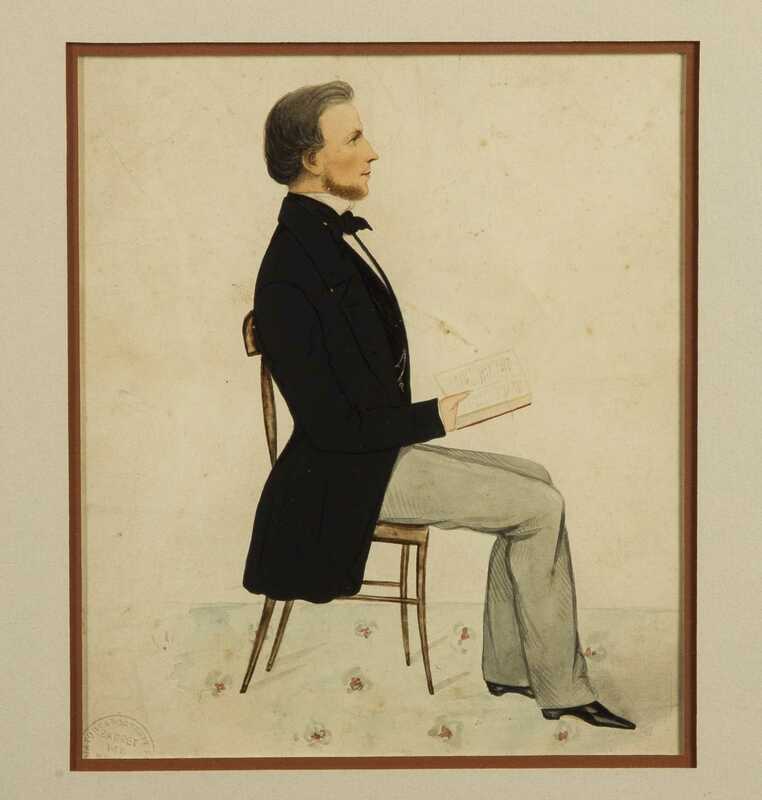 C) Miniature watercolor on paper of a man with sideburns in profile, 2" x 1 3/8", matted and framed under glass.